GOA Catalyst Conference » Will North Korea’s Nuclear Threat Trigger a Third World War? Will North Korea’s Nuclear Threat Trigger a Third World War? Are we on the brink of World War III? In the nearly six decades since the Korean War, the international community has faced the problem of the military threat from North Korea, but barely any progress has been made (“North Korea – Nuclear”). Despite multiple rounds of Six-Party Talks, different economic aids packages offered as incentives for denuclearization, and numerous sanctions, North Korea has not been deterred from developing nuclear weapons (“North Korea – Nuclear”). The “carrot and stick” approach has failed to convince North Korea to give up its nuclear activity (“North Korea – Nuclear”). In his New Year’s address, Kim Jong Un, the current dictator of North Korea, said he has “completed [North Korea’s] nuclear weapons and that the ‘entire area of the U.S. mainland is within [its] nuclear strike range’” (Schmitz). He has also warned the U.S. that he has a nuclear launch button at his desk. U.S. President Trump has responded by boasting that he has “a much bigger & more powerful one than his, and [his] Button works!” (Foster). These nuclear threats and mocking exchanges between the leaders have pushed the two countries “closer to the brink of nuclear war” than they have been in decades (Foster). It is evident that North Korea’s behavior has become increasingly bolder and more hostile, threatening the security of the U.S. and the rest of the world. I became interested in the conflict with North Korea after reading some news articles on the subject a few years ago. It is common to hear of Americans in North Korea detained for no apparent reason. Otto Warmbier, a student from the University of Virginia, was visiting North Korea when he was arrested at the Pyongyang airport in January 2016 for taking down a propaganda poster (Saker and Shesgreen). He was convicted and sentenced to fifteen years of hard labor (Saker and Shesgreen). Warmbier suffered serious injuries during his more than seventeen months in detention in a labor camp before eventually being released by North Korea (Saker and Shesgreen). He arrived back in the U.S. in a coma, and he died shortly after his return (Saker and Shesgreen). No justification was ever given for his condition by the North Korean government (Saker and Shesgreen). In 2009, two American journalists, Euna Lee and Laura Ling, were detained for “entering North Korea illegally to conduct a smear campaign” (Yan). They were sentenced to twelve years of hard labor (Yan). These incidents make me wonder why North Korea has such harsh punishmenta for such petty crimes. I am also interested in North Korea because it is an isolated, hermit country with little information about it available to the outside world. Media and information—both coming in and going out—are completely restricted in North Korea. Because North Korea is so secretive, I am curious about what goes on inside its borders. Here is a brief video about the Korean War. The development of nuclear weapons in North Korea began in the 1950s. The regime founded institutions for research purposes only (“North Korea – Nuclear”). When North Korea signed a cooperative agreement with the Soviet Union in 1959, North Korea sent scientists to the Soviet Union for training, and the Soviet Union was required to help North Korea establish a research center (“North Korea – Nuclear”). With technical support from the Soviet Union, the Yongbyon Nuclear Research Complex was completed in 1962 (Robertson). The 1980s marked a period of significant progress of North Korea’s nuclear program. Not only the nuclear reactor became more powerful, the regime also constructed uranium milling facilities and a fuel rod fabrication complex (Cumings). Because of the rapid expansion of its nuclear program, North Korea has been pressured by other countries to sign the Treaty on the Non-Proliferation of Nuclear Weapons (NPT) as a non-nuclear weapon state in December 1985 (Robertson). Under this agreement, North Korea would not acquire nuclear weapons and would accept the International Atomic Energy Agency (IAEA) safeguards on their nuclear activities” (“North Korea – Nuclear”). However, North Korea failed to sign the safeguards agreement with the IAEA within the specified eighteen-month period (Martin). In 1992, six years after signing the NPT, North Korea concluded the safeguards agreement with the IAEA, allowing IAEA inspections of its nuclear facilities after the U.S. and South Korea satisfied North Korea’s conditions (Martin). The nuclear crisis in North Korea deteriorated during the 1990s, marked by North Korea’s decision to withdraw from the NPT and its non-compliant activities (Robertson). After the inspections were concluded in February 1993, the Agency found that North Korea possessed more plutonium than they claimed (Robertson). When the IAEA requested to inspect two nuclear waste sites, North Korea denied their access and later threatened to withdraw from the NPT in three months (Robertson). It was only after intensive negotiation with the U.S. and other countries that North Korea decided it will remain in the NPT (“North Korea’s Nuclear Weapons Program”). In May 1994, North Korea removed spent fuel rods from the reactor to prevent the IAEA to to take measurements to learn about the operational history of the reactor (“North Korea’s Nuclear Weapons Program”). President Clinton responded by asking the United Nations to impose economic sanctions on North Korea, who considered this as an act of war (Robertson). To alleviate the crisis, President Clinton sent former President Jimmy Carter to North Korea to meet with Kim Il-Sung (Cha). After four months of negotiations, the U.S. and North Korea signed the Agreed Framework in October 1994, under which North Korea agreed to halt its nuclear programs and allow the IAEA to monitor them, implement the North-South Joint Declaration on the Denuclearization of the Korean Peninsula, and remain in the NPT (Cumings). In exchange the U.S. agreed to construct two light water power reactors (LWR) and offer nuclear, economic, and diplomatic benefits (Robertson). North Korea’s nuclear weapons explosive yield. At the turn of the millennium, tensions between the U.S. and North Korea was at a all-time high. In summer 2002, the Bush Administration learned of a secret North Korean highly enriched uranium (HEU) program, which broke the terms of the 1994 Agreed Framework (“North Korea – Nuclear”). In response, the U.S. suspended heavy oil shipments and halted the construction of the LWR in December 2002, according to the terms of the Agreed Framework (“North Korea’s Nuclear Weapons Program”). In retaliation, North Korea resumed its nuclear operations and announced its withdrawal from the NPT (“North Korea – Nuclear”). To resolve the North Korean nuclear issue, President Bush focused on “a multilateral diplomatic approach in which the dynamic was to get five regional countries in unison to persuade the North of a better path” (Cha). In August 2003, six countries (China, North Korea, South Korea, U.S., Japan, and Russia) met in Beijing to “identify a course of action to bring security and stability to the Korean Peninsula” (“Six-Party Talks”). After three unsuccessful rounds of the Six-Party Talks held between 2003-2004, the most promising breakthrough occurred in September 2005. In this fourth round, the six countries signed a Joint Statement in which North Korea would “abandon its nuclear weapons program in exchange for aid, a U.S. security guarantee, and talks over normalization of relations with the United States” (Chanlett-Avery, Rinehart, and Nikitin). Shortly after signing the agreement, the U.S. froze North Korea’s assets in a Macau-based bank which was accused of assisting North Korea in illicit transactions, holding back the talks for over a year (“Six-Party Talks”). The relationship between North Korea and the U.S. continued to deteriorate in 2006, characterized by North Korea’s bolder and more aggressive behavior. In October, North Korea successfully conducted its first nuclear test at the Punggye-ri test site (“North Korea’s Nuclear Weapons Program”). Another round of the Six-Party Talks commenced in February 2007, and the six countries agreed on the Initial Actions for the Implementation of the Joint Statement, under which North Korea had to denuclearize and return to the NPT and the IAEA safeguards (“North Korea – Nuclear”). In return, the parties agreed to provide energy assistance to North Korea, and the U.S. would release North Korea’s assets held at the Macau-based bank (“Six-Party Talks”). The six countries resumed negotiations in Beijing in December 2008 to draft a verification protocol of the disablement of North Korea’s nuclear program, including taking nuclear samples (Cha). The talks broke down since North Korea refused to allow samples to be taken from the nuclear sites (“Six-Party Talks”). After taking office, President Obama adopted a policy of “strategic patience,” urging the North to adhere to denuclearization and return to the Six-Party Talks (Cha). He promised no diplomacy until North Korea halted nuclear tests and ceased making provocative acts towards South Korea (Cha). Hostility escalated in 2010 and thereafter as this period was marked by a series of provocative acts of North Korea. 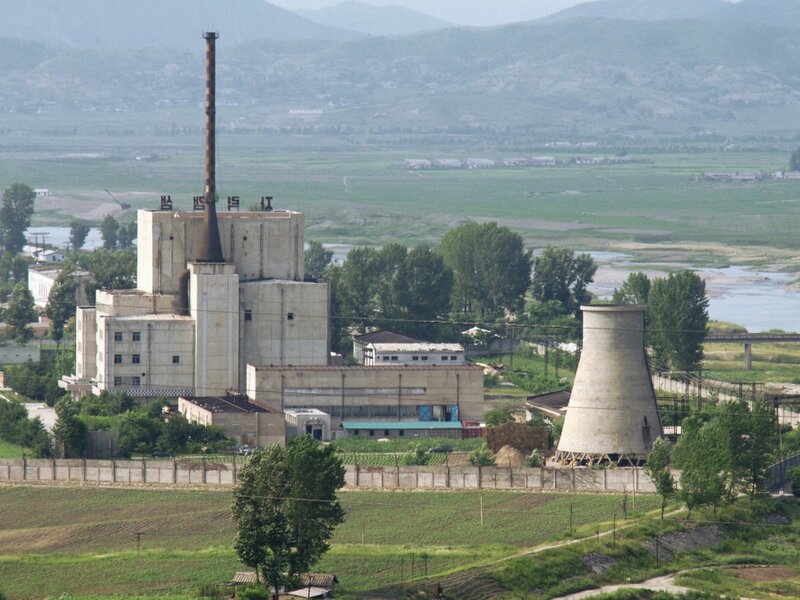 In March 2010, North Korea announced the construction of a light-water reactor, and the completion of an uranium enrichment facility at Yongbyon (“North Korea – Nuclear”). After the death Kim Jong-Il and the succession of Kim Jong-Un in December 2011, the U.S. and North Korea held bilateral talks which led North Korea to agree to a moratorium on nuclear testing in exchange for food aid. However, Obama’s administration withdrew its food offer after North Korea launched a satellite in April 2012 (Cha). In February 2013, North Korea conducted a third nuclear test at the Punggye-ri Nuclear Test Facility and also announced that Pyongyang was restarting the graphite reactor (“North Korea – Nuclear”). In December 2015, North Korea announced that it had the ability to miniaturize nuclear weapons, a key step toward building nuclear missiles (“North Korea – Nuclear”). The regime also declared that it had successfully tested a thermonuclear device in January 2016 which was met with condemnation from the international community and led to further sanctions by the UN (“North Korea – Nuclear”). In spite of the sanctions, North Korea “carried out its fifth nuclear test to coincide with the 68th anniversary of the founding of North Korea” (“North Korea – Nuclear”). It also declared that “it has the capability to produce a warhead small enough to fit onto the end of a missile” (“North Korea – Nuclear”). Not only President Obama condemned the test, but China, North Korea’s only ally, also “called on North Korea to refrain from provocative acts” (“North Korea – Nuclear”). He also mentioned that a hydrogen bomb test was successful (“North Korea – Nuclear”). In September 2017, North Korea conducted its sixth nuclear test which had the largest explosive yield, meaning it was an advanced nuclear device (“North Korea – Nuclear”). U.S. President Trump responded to the claim by threatening “fire and fury” against North Korea and would totally destroy the regime if it endangers the security of United States (Baker and Sang-Hun) . Throughout North Korea’s nuclear development history, the regime constantly breached the agreements made with the international community. Sanctions were imposed and inducements were offered, but these efforts have been unsuccessful (Cha). Because the U.S. insists on denuclearization as a condition for negotiations with North Korea, and because “North Korea’s nuclear-weapons program is both the regime’s trump card and its insurance policy,” the two countries have come to an impasse in their negotiations (Schattle). A solution to address this problem could be a series of incremental steps by all signatories to the 1953 armistice of the Korean War to “lessen tension and lead to eventual peace on the Korean Peninsula” (Schattle). As the first step, the U.S. and North Korea should put aside their differences before initiating dialogue with the aim of easing tensions and building trust (Schattle). Instead of asking North Korea to immediately remove all nuclear weapons, the U.S. should seek incremental concessions leading to the phasing-out of North Korea’s nuclear weapons program (Schattle). Each step taken by North Korea is reciprocated by the U.S. and South Korea, with the aim of improving trust between the countries (Schattle). Improved behavior from North Korea would be rewarded by incentives such as reducing the amount of U.S. troops stationed in South Korea, limiting joint military exercises with South Korea, and offering economic aids (Schattle). This solution might work if denuclearization of North Korea is the end goal of negotiations instead of one of the requirements for talks (Friedman). The incremental step approach would also test whether North Korea is capable of living up to international agreements and whether mutual trusts can be built among countries with stakes in the Korean Peninsula (Schattle). Watch this documentary if you want to learn more about North Korea. Baker, Peter, and Choe Sang-hun. “Trump Threatens ‘Fire and Fury’ Against North Korea If It Endangers U.S.” The New York Times, The New York Times, 8 Aug. 2017, www.nytimes.com/2017/08/08/world/asia/north-korea-un-sanctions-nuclear-missile-united-nations.html. Cha, Victor. The Impossible State: North Korea, Past and Future. Ecco, 2012. Chanlett-Avery, Emma, et al. “North Korea: U.S. Relations, Nuclear Diplomacy, and Internal Situation.” CRS, Congressional Research Service, 15 Jan. 2016, fas.org/sgp/crs/nuke/R41259.pdf. Cumings, Bruce. Korea’s Place in the Sun: a Modern History. W.W. Norton, 1998. Foster, Alice. “North Korea: Will Kim Jong-Un Push His Nuclear Button? Donald Trump Boasts Mine Is Bigger.” Express.co.uk, Express.co.uk, 3 Jan. 2018, www.express.co.uk/news/world/899553/North-Korea-will-Kim-Jong-un-push-nuclear-button-Donald-Trump-threat. Friedman, Uri. “Why China Isn’t Doing More to Stop North Korea.” The Atlantic, Atlantic Media Company, 9 Aug. 2017, www.theatlantic.com/international/archive/2017/08/north-korea-the-china-options/535440/. Jamieson, Alastair, and Stella Kim. “North Korea Parades New Prototype Long-range Missiles – Experts.” NBCNews.com. NBCUniversal News Group, 15 Apr. 2017. Web. 24 Mar. 2018. Martin, Bradley K. Under the Loving Care of the Fatherly Leader: North Korea and the Kim Dynasty. Thomas Dunne Books, 2007. North Korea – Nuclear. Nuclear Threat Initiative, Dec. 2017, www.nti.org/learn/countries/north-korea/nuclear/. “North Korea’s Nuclear Weapons Program.” Nuclearweaponarchive, 25 Oct. 2006, www.nuclearweaponarchive.org/DPRK/index.html. Robertson, Jeffrey. 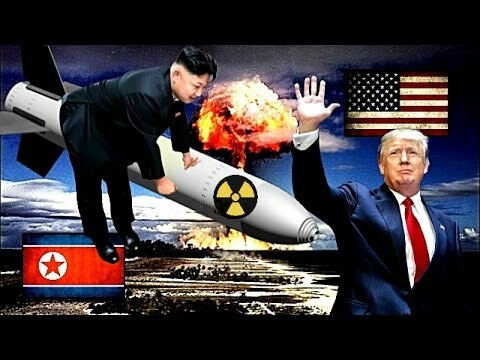 North Korea Nuclear Crisis-Issues and Implications. INFORMATION, ANALYSIS AND ADVICE FOR THE PARLIAMENT, 18 Mar. 2003, www.aph.gov.au/binaries/library/pubs/cib/2002-03/03cib18.pdf. Saker, Anne, and Deirdre Shesgreen. “Death of Student after Detention Further Strained U.S.-North Korean Relationship.” USA Today. Gannett Satellite Information Network, 25 Dec. 2017. Web. 27 Mar. 2018. Schattle, Hans. “Toward an Incremental Pathway to Peace on the Korean Peninsula.” East-West Center, AsiaPacific Issues, Sept. 2017, www.eastwestcenter.org/system/tdf/private/api134.pdf?file=1&type=node&id=36288. Schladebeck, Jessica. “Coroner Report on Otto Warmbier Shows No Evidence of Torture.” NY Daily News. NEW YORK DAILY NEWS, 27 Sept. 2017. Web. 24 Mar. 2018. Schmitz, Rob. “North Korea Warns Its Nuclear Arsenal Is A Button-Push Away.” NPR, NPR, 1 Jan. 2018, www.npr.org/2018/01/01/574932117/north-korea-warns-its-nuclear-arsenal-is-a-button-push-away. “Six-Party Talks.” NTI, Inventory of International Nonproliferation Organizations and Regimes, 4 Aug. 2011, www.nti.org/media/pdfs/6ptalks.pdf?_=1316553863. Yan, Holly. “What Does It Take to Get an American Released from North Korea?” CNN, Cable News Network, 13 June 2017, www.cnn.com/2017/06/13/asia/north-korea-how-to-get-americans-released/index.html.